A judge reprimanded talking head Stephen Moore for neglecting these debts in 2012, according to court documents obtained by The Guardian. Allison Moore filed for divorce in 2010, accusing her husband of “emotional and psychological abuse” and engaging in an affair, per the Guardian. She claimed she had to flee their home out of fear. 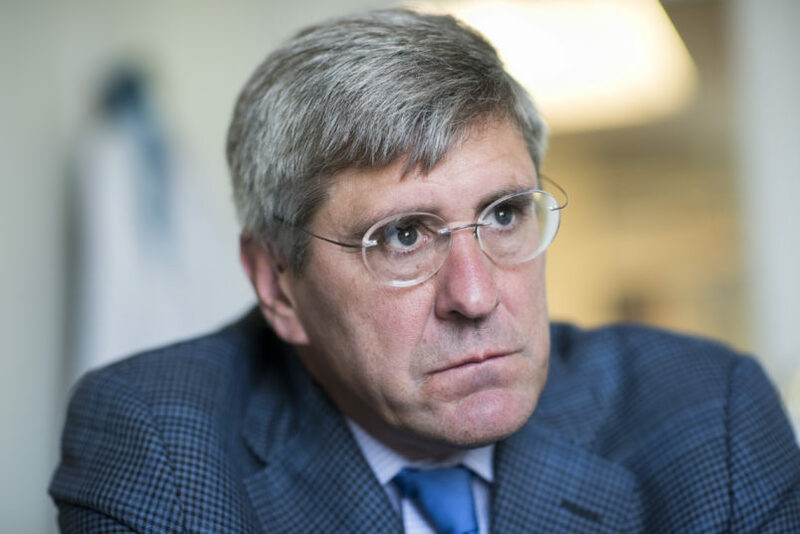 Stephen Moore admitted to the allegations in the complaint, according to one of the filings dug up by the newspaper. Moore is seen by many fellow economists as deeply unqualified for this key post at the world’s most powerful central bank. He holds no doctoral degree and is mostly known for sparring with other commentators on cable news. Moore served as an adviser to Trump’s 2016 campaign. The conservative pundit has said he is “kind of new to this game” and will be “on a steep learning curve myself about how the Fed operates” and what his role will require. Bloomberg reported this week that Moore also owes over $75,000 to the IRS for unpaid taxes. Read the full report at The Guardian.